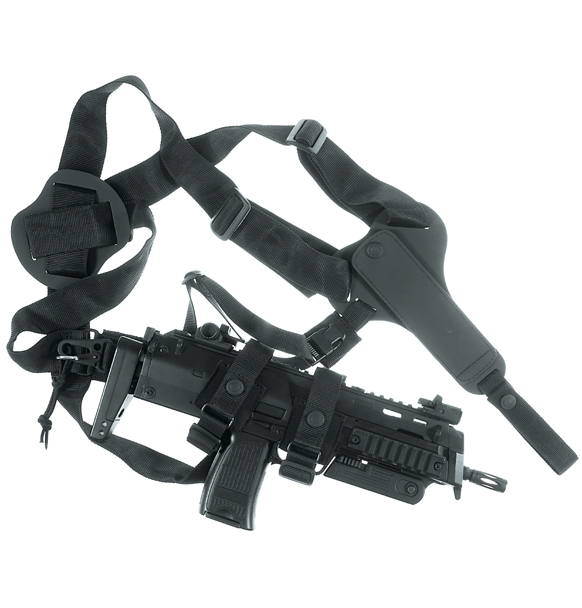 Shoulder holster for vertical carry of H&K MP7 with X-style shoulder harness and adapter for magazine pouches. 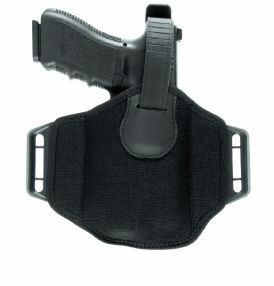 Chest strap with buckle secures the holster. 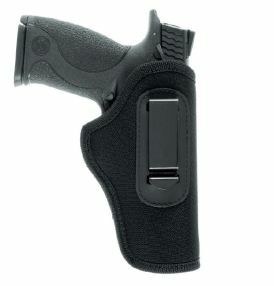 The MP7 is inserted muzzle down into theadjustable lower loop and secured with the adjustable upper loop. 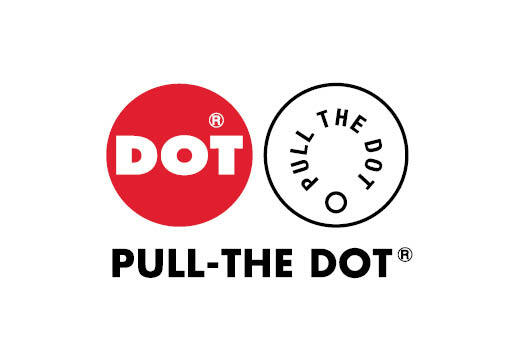 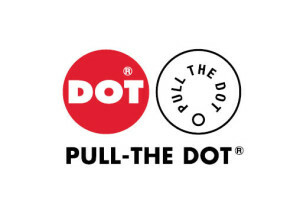 These are closed and realased with Pull the dot Snap Buttons. 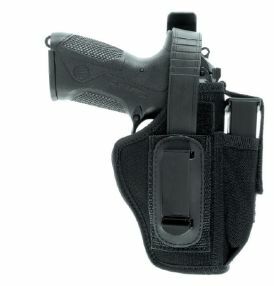 A chest strap with buckles secures the holster on the body. 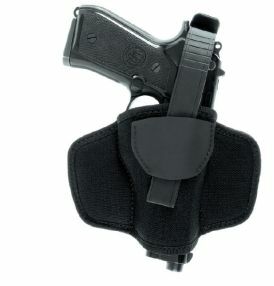 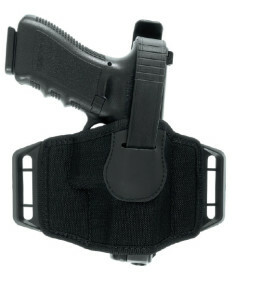 The adapter plate in ballistic rubber on the opposite side of the holster body can be fitted with radio pouch or other accessories and pouches.